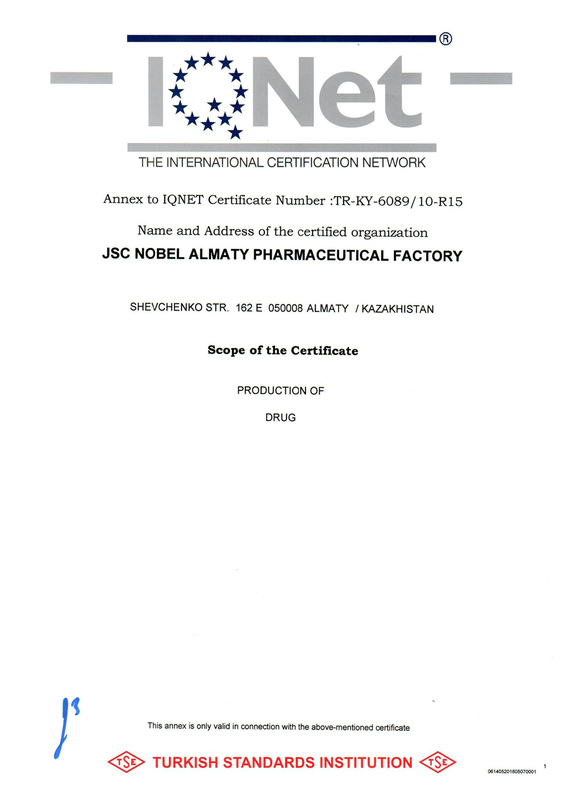 Founded in 2002, Nobel AFF is the leading domestic manufacturer of pharmaceutical products in Kazakhstan with expansion of its activities in the CIS countries. The company started the manufacturing of six pharmaceutical products by using advanced manufacturing equipment valued at $ 30 million. Nobel AFF has one of the largest sales networks and trade managers in Kazakhstan, offers prescription and over-the-counter products, which cover a wide range of application. 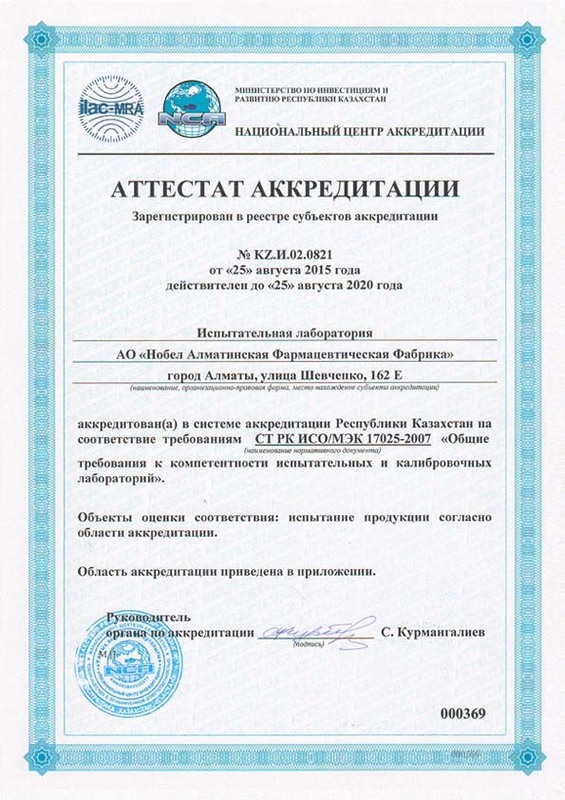 The company employs more than 300 specialists who work to make high-quality products of Nobel AFF available to citizens of the Republic of Kazakhstan and other CIS countries. Currently, Nobel AFF is a manufacturer of more than 60 drugs and 200 pharmaceutical products. 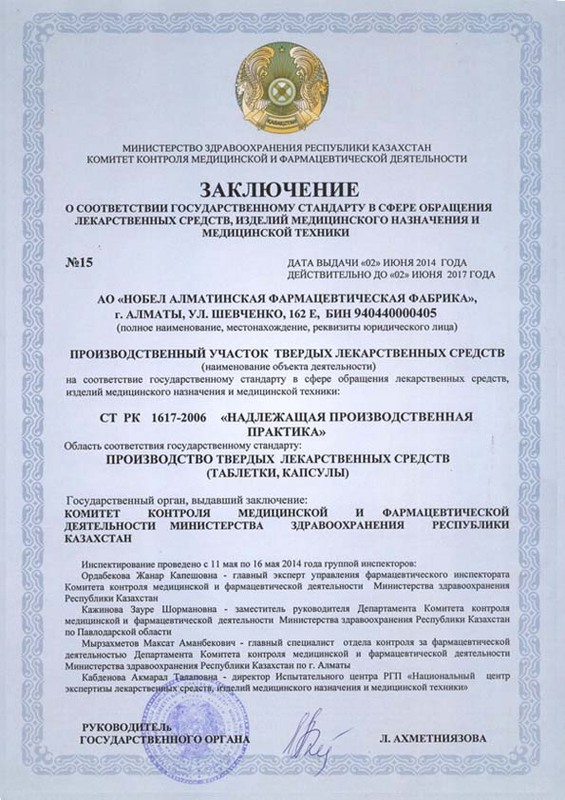 To become an internationally recognized leading Kazakhstani pharmaceutical company. Motivation, determination, efficiency, orientation to the result. 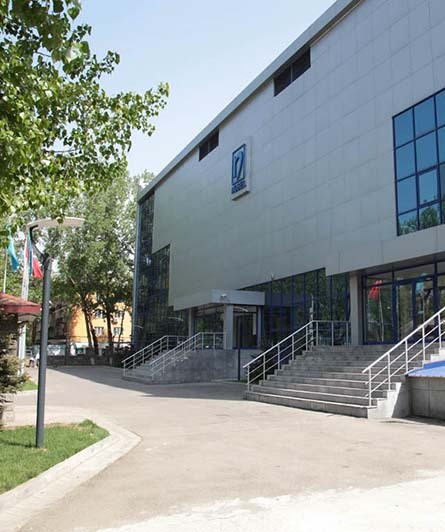 In addition to the head office in Almaty, Nobel AFF has regional offices in Astana, Shymkent, Uralsk, Karaganda, Semey and Kostanay, Karaganda, Petropavlovsk and Semipalatinsk. More than 120 professionals of Nobel AFF are doctors or pharmacists. To contact the head office of Nobel AFF or regional offices, please click here. Nobel AFF contributes to the economy and the diversification of foreign trade of the Republic of Kazakhstan through exports. The company already exports 30% of its products to the markets of the CIS countries and aims to increase the share of exports through the Eurasian economic integration to 50%. Improvement, implementation and use of modern technologies aimed at improving the quality of products. Development and introduction of innovative drug products to the market. Creation of conditions ensuring a conscious involvement in the quality management process and continuous improvement of personnel's skills. For twenty years of independence, Kazakhstan has become the cradle of political and economic stability. In the coming years, subject to the sustainable development of its rich mineral resources, Kazakhstan's influence in the global economy is expected to grow. In addition, the political platform of Kazakhstan, in the course of strengthening regional and global stability and cooperation, adds to the country's leading role the readiness and ability to act on an international level. This development takes place due to the far-sighted reform carried out by the country's leadership. According to the statistics of the World Bank, the country is gradually rising in the rating of the Light Industry and is rated higher than most other CIS countries. Kazakhstan is also working to diversify the manufacturing base in order to reduce the influence of the extractive industry in the national economy. Moreover, the Eurasian Economic Integration, which is keenly in favor of Kazakhstan, represents a large number of opportunities for Kazakhstan based on preferences of enterprises and potential investors. Given the above, the strategically important pharmaceutical industry is one of the priority areas. 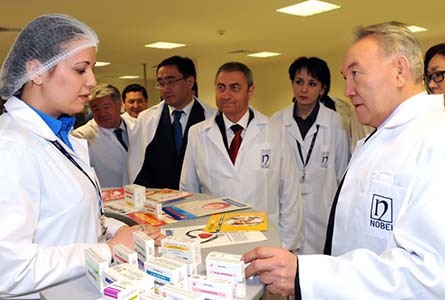 Currently, the cost of the Kazakh pharmaceutical market is about one billion US dollars, and only 15% of domestic manufacture. 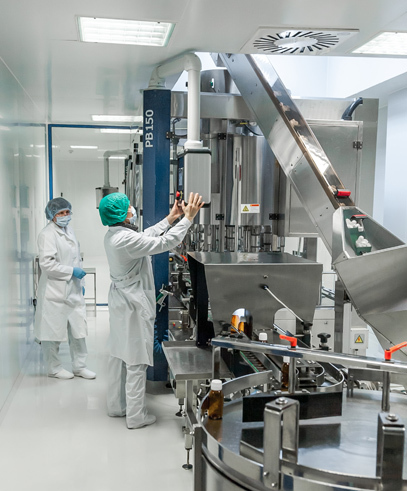 Given the state support of local pharmaceutical manufacturing, the steady growth of the pharmaceutical market in recent years, and the overall positive macroeconomic climate, Kazakhstan is becoming an attractive place for pharmaceutical companies as a target market and a regional center. 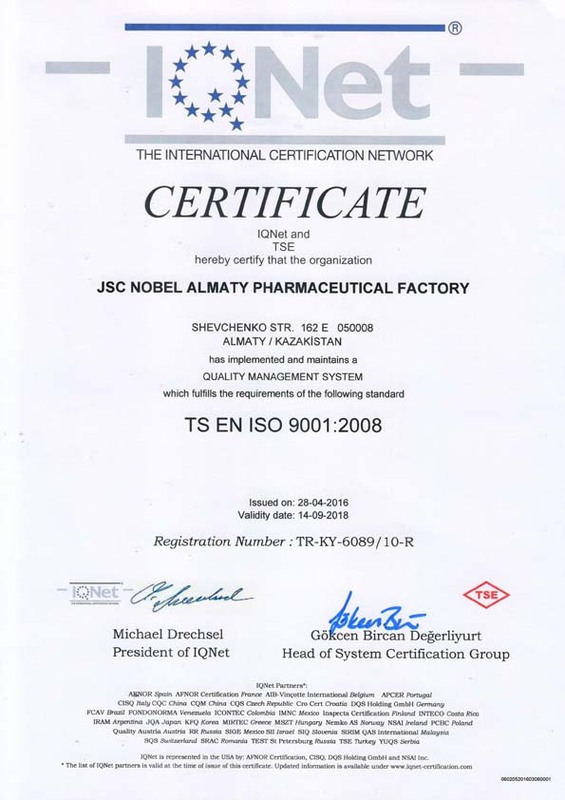 The company "Nobel Almaty Pharmaceutical Factory" in its ten-year history has become a local manufacturer of high-quality pharmaceutical products in Kazakhstan, with an established trading network throughout the country and the CIS countries. 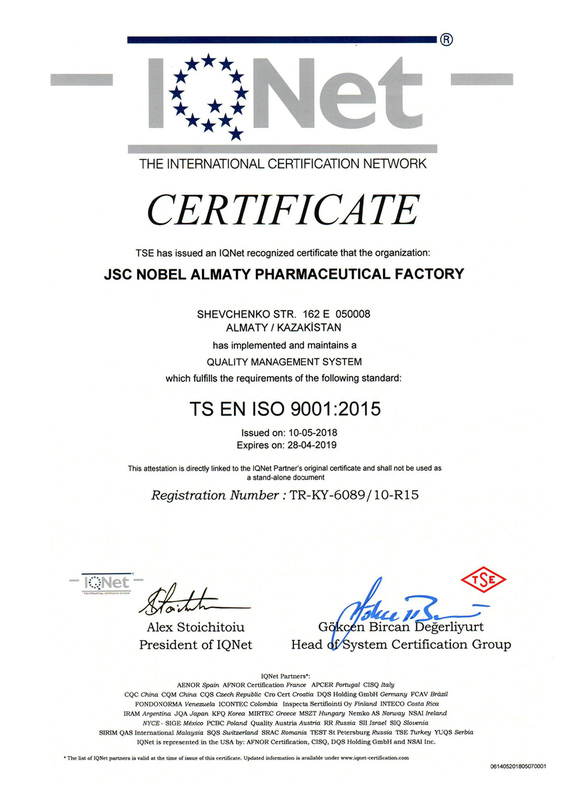 The quality of our equipment is certified by national and international bodies, and international pharmaceutical companies nominate us as a contract manufacturer. In addition, the expansion of our production portfolio, the increase in manufacturing and export volumes, as well as the continuous development of infrastructure, are clear signs of a realistic bright future, in which we sincerely believe.